Christof Lehmann (nsnbc) : Venezuelan President Nicolas Maduro responded to the U.S. administration’s announcement of new, additional sanctions against Venezuela, on Monday, denouncing the U.S. for hypocrisy with regard to human rights and a rogue State out of control that runs concentrations camps. “These restrictions will also affect the immediate family members of those individuals subject to visa restrictions for believed involvement in human rights abuses or acts of public corruption. … We will not publicly identify these individuals because of U.S. visa confidentiality laws, but we are sending a clear message that human rights abusers, those who profit from public corruption and their families are not welcome in the United States”. Venezuelan President Nicolas Maduro, for his part, responded by denouncing the United States of hypocrisy, especially with regards to human rights. “They kill black youths in the streets with impunity, they persecute and have concentration camps for kids in Central America, they have abducted dozens of citizens of the world under no legal system, submitted them to torture and isolation. .. What human rights are they talking about? The additional sanctions follow-up on sanctions the United States imposed on Venezuela following violent unrest in the country in 2014. Ewan Robertson (VA) : The general secretary of the opposition Democratic Unity Table (MUD) coalition, Ramon Aveledo, announced his resignation today. Aveledo’s decision takes place as opposition parties hold closed door meetings to try and overcome internal differences. The resignation is understood to have taken many opposition figures off guard. “I’m not leaving [the MUD], I’m just changing battle post,” said the lawyer and professor, who took up the job in 2009. No names have yet been put forward for his replacement. 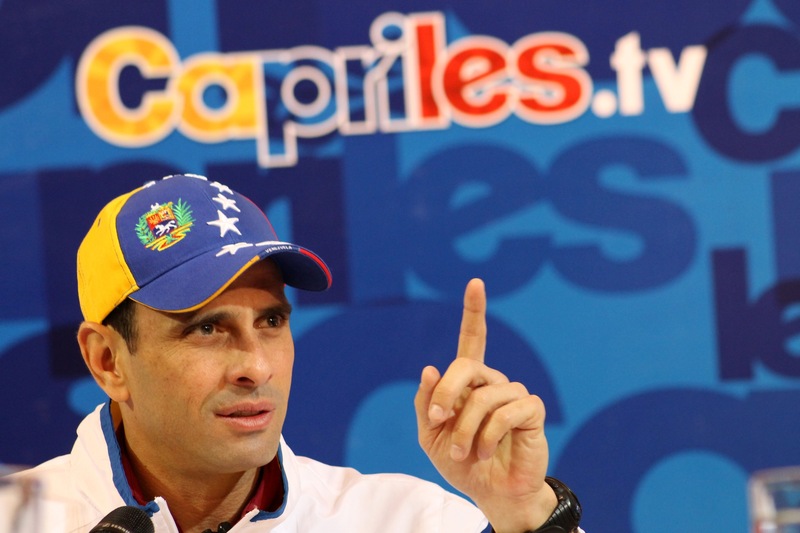 Under Aveledo’s tenure, the opposition managed to hold internal primary elections and put forward a single presidential candidate, Henrique Capriles, in the presidential elections of October 2012 and April 2013. Capriles lost to Hugo Chavez, and then narrowly to Nicolas Maduro, on those occasions. The opposition split again this year after a hard-line faction launched a strategy of protests and street barricades dubbed “La Salida (The Exit)”, which demanded Nicolas Maduro’s exit from office. The wave of unrest left 43 dead and hundreds injured. 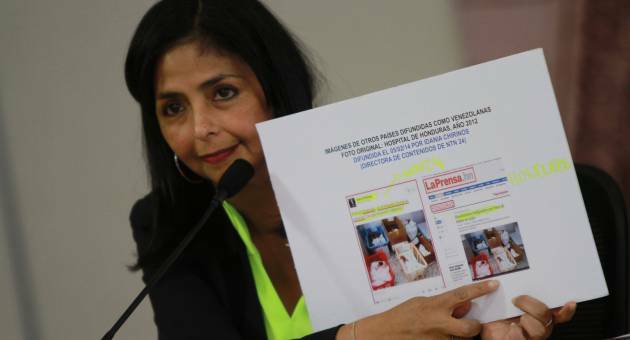 During this time Aveledo and some other opposition figures participated in dialogue talks with the government, and were criticised by hard-liners for doing so. Aveledo indicated in his resignation speech that his exit was intended to help the process of re-unification in the opposition coalition. 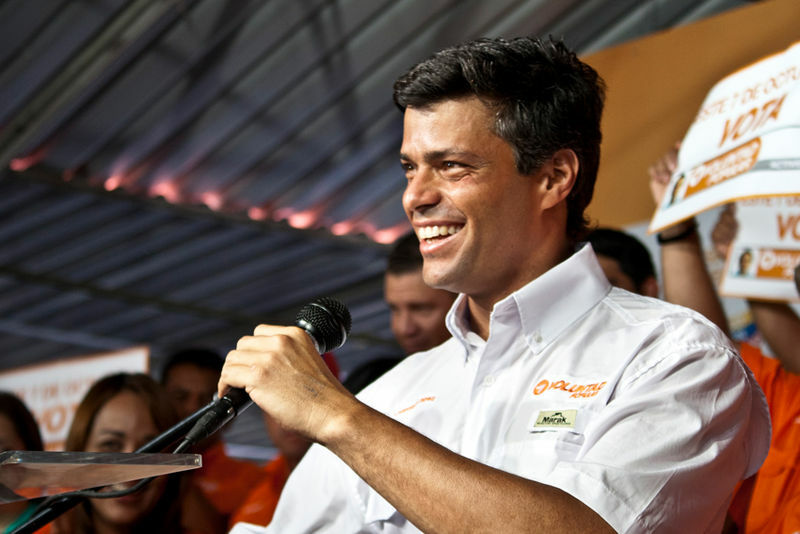 A spokesperson of the Popular Will (VP) party – whose leader Leopoldo Lopez led the unrest movement and is currently under trail for alleged incitement to violence – welcomed Aveledo’s resignation as “positive” and “an opportunity to form [a coalition] that serves the country”. However several more moderate opposition parties disagreed with Aveledo’s decision. The leader of the New Time (UNT) party said the resignation was “unnecessary”, while a spokesperson for Democratic Action (AD) blamed the Salida strategy for the situation. The vice president of the governing United Socialist Party of Venezuela (PSUV), Diosdado Cabello, claimed the opposition coalition was in disarray. “The MUD is beyond repair, it is in total loss…there’s no way something new can emerge from its ashes,” he said. 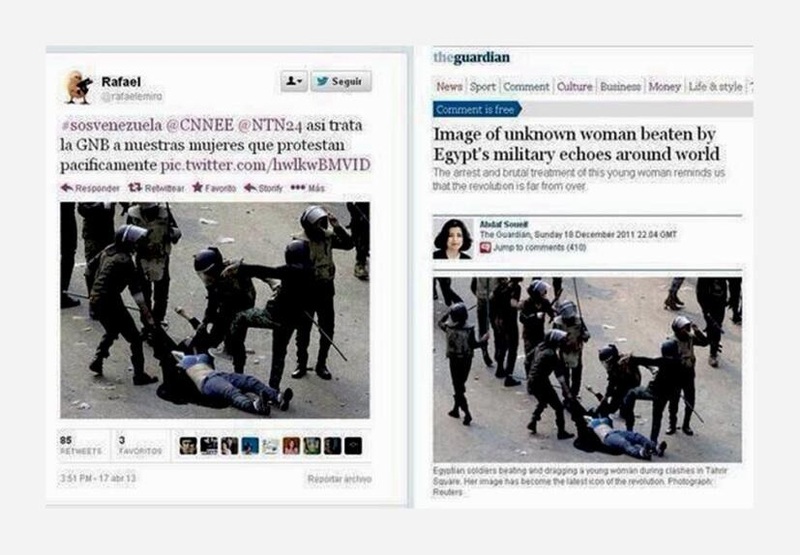 Ewan Robertson – Ewan Robertson is a journalist and analyst based in Venezuela. He writes for the news website Venezuelanalysis.com, and has independently published articles in various sources including the Lancet medical journal (UK), the Latin America Bureau NGO (London, UK), the Carnegie Council for Ethics in International Affairs NGO (NY, USA), and the Indypendent magazine (NY, USA). He has also been interviewed on Venezuelan current affairs by the BBC World Service, Huffington Post Live, New Zealand National Radio, the Real News Network, and other services. Venezuelan riot police fired volleys and tear gas to disperse hundreds of anti-government demonstrators in Caracas after competing mass rallies were held on Saturday across the country. The protesters blocked main arteries by burning barricades and throwing rocks while security officials used tear gas to control them. 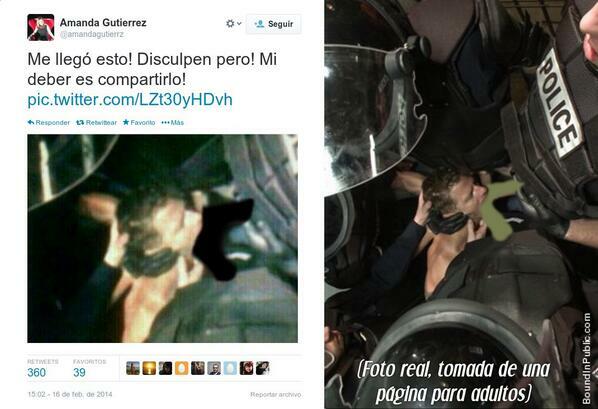 After his defeat, Governor Capriles instead instigated his followers into igniting violence in the streets. US-based organizations like Human Rights Watch (HRW) totally ignored the role that Capriles and the opposition played in igniting the violence, instead taking the opportunity to criticize the Venezuelan government. HRW actually had this to say about the street violence that MUD leaders had started: “Under the leadership of President Chavez and now President Maduro, the accumulation of power in the executive branch and the erosion of human rights guarantees have enabled the government to intimidate, censor, and prosecute its critics.” Not once were the violent actions taken by the mainstream opposition or the corruption of their leaders in the states or municipalities that they administer ever mentioned by HRW. 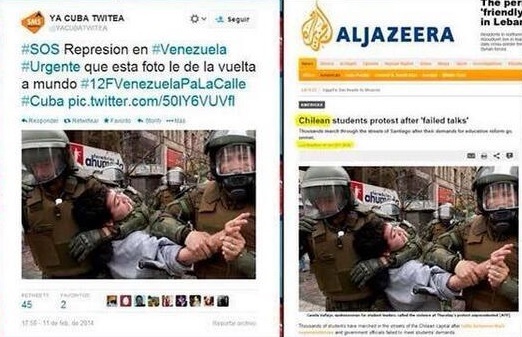 In this context, it is important to ask the question of who is perpetrated the violence in Caracas? Violence was instigated by armed gunmen among the US-supported opposition to justify the coup in 2002 through bloodshed. The same methodology of instigating violence has been used again in 2014. Video evidence shows at least one armed gunman instigating violence during the protests. 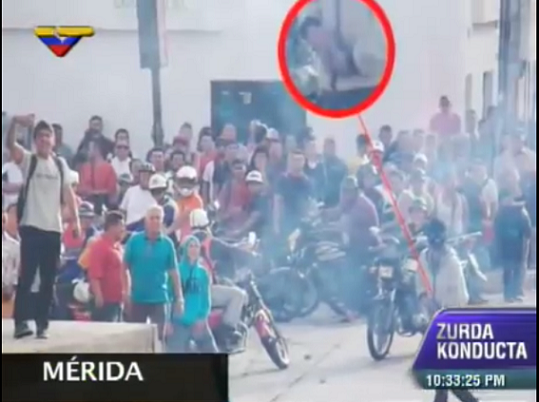 Footage from Caracas also clearly shows that thuggery is taking place while segments of the anti-government forces are clearly instigating violence and chaos. Unarmed bystanders and civil servants have been attacked by them, including vehicles belonging to the public transportation system and their passengers. This is the same ilk that attacked public hospitals and clinics in 2013 as a means of disrupting daily life in Venezuela after Maduro took over. 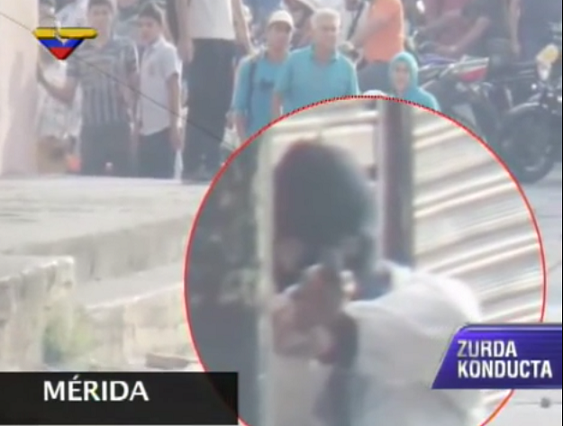 Moreover, Lopez’s supporters have attacked government officials and offices with baseball bats and Molotov cocktails and done everything possible to instigate fighting with the clear aim, as Lopez himself describes, of making the Venezuelan government collapse. The death of Hugo Chavez has broken the calamity of Venezuela’s political life. The opposition, backed by the politicians in Washington, has stepped forward and cannot be ignored anymore, as even Maduro has won the presidential elections with just a small majority. The nation is split. What the future holds for Venezuelan people? What are the interests of those who oppose the Bolivarian revolution? To find out, Sophie Shevardnadze is joined by the minister of Maduro’s cabinet — Andres Izarra is on SophieCo today. Anchor Mike Walter of CCTV America sits down with Mark Weisbrot to debunk the myths behind the February 2014 Venezuelan protests. The issue is beyond economic issues. The US-supported opposition are the ones that own almost all the mainstream media in Venezuela and have a choke-hold on the news, but this has not fooled the large numbers of Venezuelans that support the government. These groups have launched a propaganda war. Despite the Venezuelan government’s democratic mandate, which includes winning most the municipal campaigns in December 2013, the Venezuelan opposition wants to use flash mobs to takeover the country and ouster the government in Caracas. According to state news agency AVN, of the 337 mayors elected in December 2013, the final vote counts awarded 256 mayor positions (76%) to the ruling party or pro-government forces. The protests in Ukraine are now being replicated in Venezuela with the aim of removing the government outside of the democratic process. Despite failing to win any of the elections in the last few years, the US-supported Venezuelan opposition is now resorting to colour revolution tactics. For more analyses and text please visit Global Research. Venezuela mourns the death of long ruling President Hugo Chavez. Did he leave the country a better place? Was he a dictator or a populist leader? And what will his lasting legacy be? CrossTalking with George Cicarello-Maher, Alex Main and Alek Boyd.